Continuing education programs remain a flexible and exciting option for those searching for professional development. 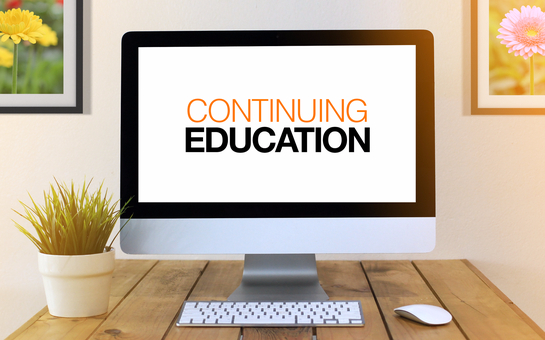 The landscape of continuing education software remains in a constant state of growth due to the pressures of global competition and the pace at which technology advances. Consequently, working professionals must continually expand their knowledge base in order to remain competitive in their respective fields. CE software helps facilitate this process by providing accessible and realistic learning platforms. Lifelong learning not only helps individuals stay relevant in their fields, but also promotes ongoing competitiveness and competency. The long-term viability of CE programming depends on its success in meeting these demands. Another feature to consider is credit aggregation, which helps individuals who need to maintain certificates or licenses by achieving a certain amount of credit hours. Especially for those within academic organizations, this feature validates learning while also providing a definitive framework for credit accumulation. In order to remain a relevant option for adult learners, continuing education programs will need to continually re-assess their targets for learning and evaluate efficacy. The following trends may help facilitate CE software growth. On-Demand Learning. Adult learners require courses that are flexible and offer immediate access. Consequently, CE programs that support on-demand learning will have a competitive advantage by allowing students to enroll and start learning as soon as possible. Competency-Based Models. CE software that promotes concept mastery over time-based measures will contribute to personalized learning for students, and will incentivise employers to offer competency-based certificate programs. Additionally, these models will allow students to learn at their own pace and receive credit for material that they already know. Mainstream Credentialing System. Widely-accepted credentialing systems will not only validate academic rigor, but will further verify the competency of individuals who graduate from specific programs. Accrediting bodies that are already in place, such as the ACCME, will continue to establish standards that help measure and define continuing education. EthosCE Named Top 3 Best Continuing Education LMS EthosCE Learning Management System Version 2 Released!